Is this the solution to the 3.5mm jack problem? With the likes of Apple, Motorola and Google removing headphone ports from phones it’s only a matter of time before most other manufacturers follow, but a new patent has the potential to not only halt the tide, but see the headphone jack return to future iPhone and Pixel handsets. The patent, which was filed by Microsoft back in August 2016 and spotted by MSPowerUser, describes a headphone jack which would be partially external and which would lie flat when not in use, but expand outward when it is. 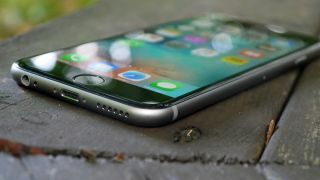 That means it would take up less internal space than a typical 3.5mm headphone port, and making the most of the space available or further slimming down phones are two of the reasons given for removing headphone ports from them, so this would largely address that. The fact that it would be flat when not in use also means it shouldn’t spoil the look of a handset, as the accompanying diagrams show it lying flush with the back of a phone, only bulging outwards when headphones are inserted. Of course, as ever with patents we wouldn’t count on seeing this in a device, especially as Microsoft has seemingly stopped making phones, but it shows that there are solutions available to the headphone problem, so it’s possible that we’ll see something similar from other manufacturers.